For the second consecutive year, Sonoma Raceway will host Make the Future Live California featuring Shell Eco-marathon Americas, April 3-6. More than 1,000 students from high schools and universities throughout North and South America will compete on the Sonoma Raceway road course in one of the world's leading energy efficiency competitions, including three teams from Northern California universities. University of California, Berkeley, California State University Sacramento and California Polytechnic State University in San Luis Obispo will each field ultra-energy efficient entries in Shell Eco-marathon Americas; a global program designed to offer students hands-on opportunities to develop ideas, technology, knowledge and skills, within an arena of competition. Shell Eco-marathon Drivers' World Championship - matching the proven energy-efficiency of the car, with the strategy, skill and speed of the driver. UC Berkeley's Cal Super-Mileage Vehicle Team will attempt a run at the Shell Eco-marathon with their vehicle, Lux, which is driven by a pure battery-electric drivetrain on a carbon fiber body. They will compete in the UrbanConcept division, which focuses on "roadworthy," energy-efficient vehicles aimed at meeting the real-life needs of drivers. In addition to UC Berkeley, Energy Efficient Vehicle (EEV) at Sac State will field its Green Hornet entry in the UrbanConcept category. EEV at CSU Sacramento is a student-run and student-organized group of mechanical engineering students. The team is diverse in ethnicity, gender, and age; with many members who speak English as their second language and others who are parents returning to school. The majority of team members are interested in pursuing careers in automotive engineering or sustainable energy. The Cal Poly Supermileage team returns to competition with two entries, Delamina and Eventus, both in the Prototype vehicle category. Eventus is the teams' first-ever battery electric vehicle, while Delamina will run on gasoline. 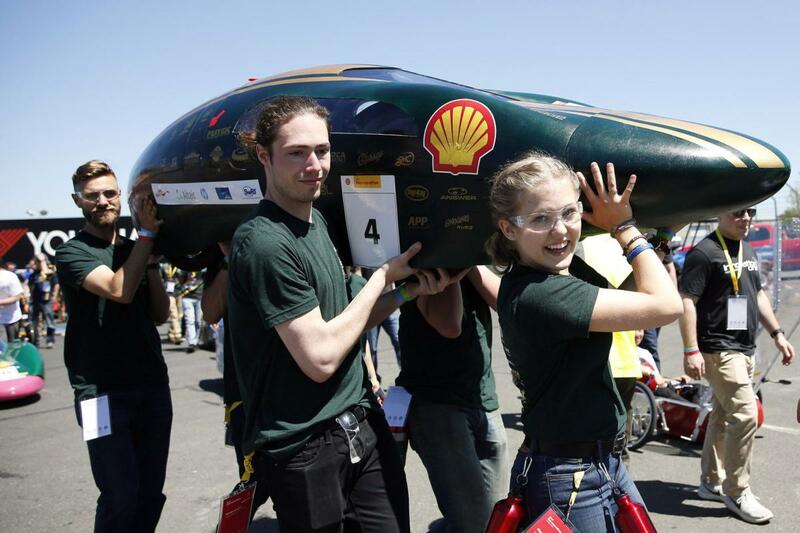 Cal Poly has participated in the Shell Eco-marathon since it launched in the Americas in 2007, however many of their current members are first-year university students. 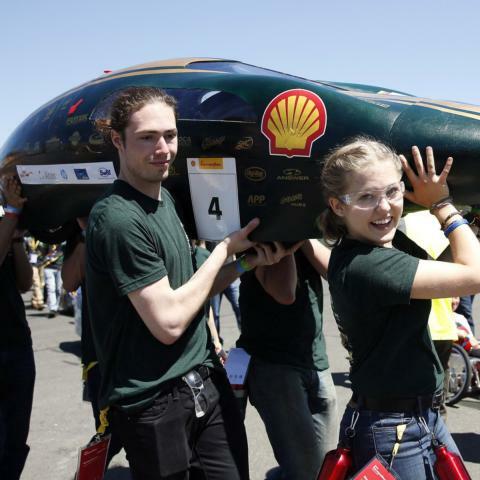 Make the Future Live California featuring Shell Eco-marathon Americas will run from noon-6:30 p.m. on Thursday, from 8 a.m.-7 p.m. on Friday and from 8 a.m.-3:50 p.m. on Saturday with Closing Ceremonies at 5 p.m. Practice runs will take place on Thursday with competition spanning Thursday through Saturday. The event is free for spectators of all ages and parking is free. For more information on the event, visit www.SonomaRaceway.com or www.Shell.com/semamericas.